Caroline & Steve met in law school. They both went to New England Law and were in the same law school division where they spent full days in classes together in L1. Caroline had a crush on Steve very early on, but he was with someone else at the time. Instead, they became best friends in law school and stayed BFFs even afterward. 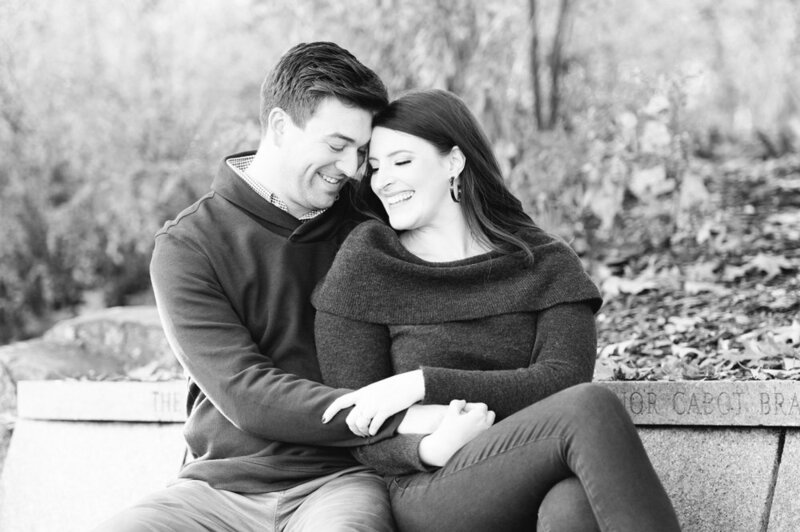 After law school they stayed in touch and their relationship sparked into a romance. Steve asked Caroline to be his girlfriend when she went to visit him and they were at the space needle overlooking Niagra Falls and the rest is history! These two are super cute together and were constantly checking in throughout the session to make sure the other was comfortable, warm enough, had chapstick, etc. They dote on and care for one another in a way that is totally comfortable and natural and shows just how deeply they love each other. They also wrap up in each other really well! They’ll hold hands and then Caroline snuggles into Steve and they keep holding hands while their arms entwine around Caroline’s back. It’s seriously the cutest thing and it’s so perfectly them! 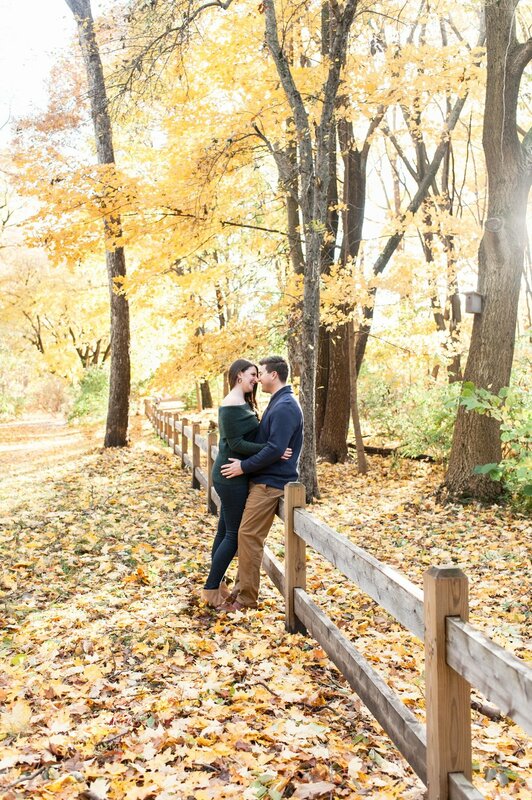 I loved capturing them doing this a few times throughout our session and I can’t wait to see them wrap up together the same way on their wedding day in June! 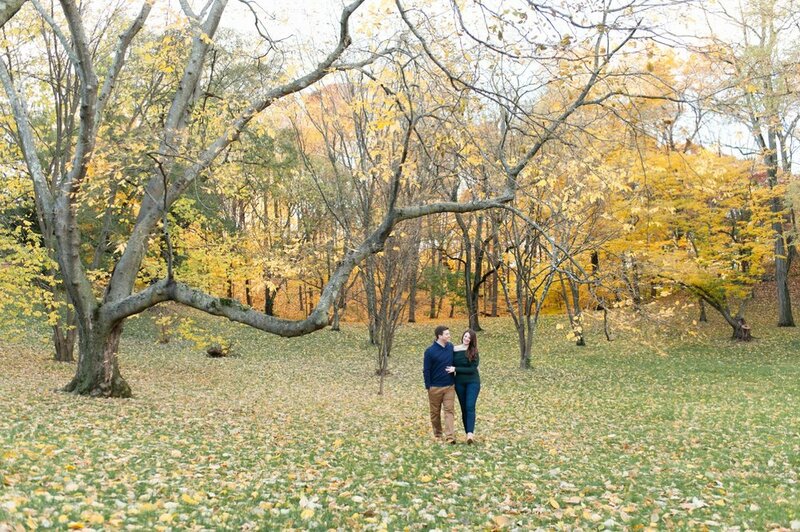 They fell in love in Boston and are getting married in the city this Spring at Alden Castle. 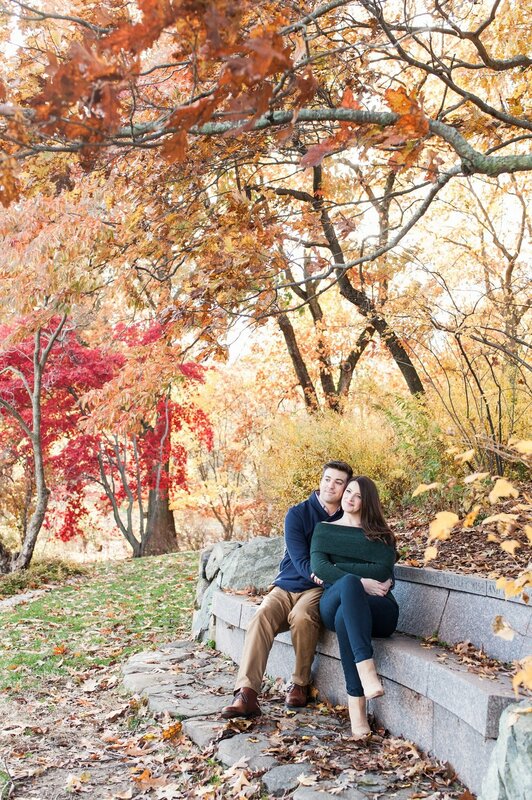 So they decided to take their engagement photos at Arnold Arboretum this fall. 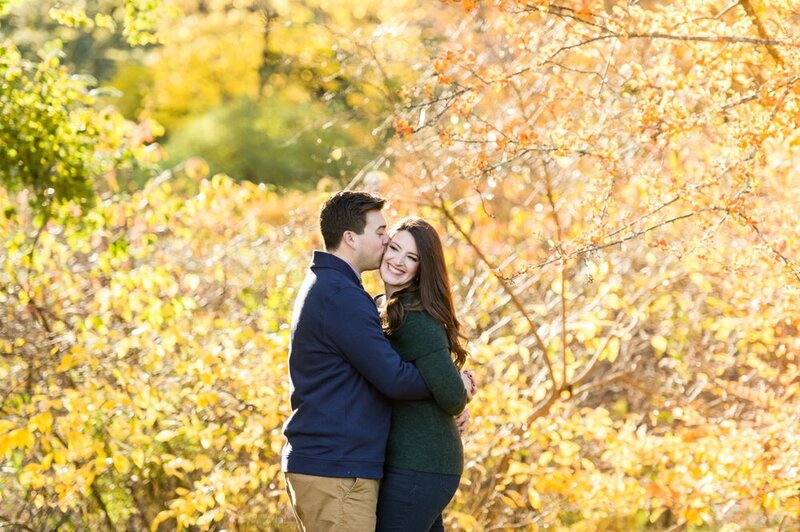 And they had a perfect New England afternoon for their session! Caroline and I were in touch throughout the week and day leading up to the session because in classic New England style the weather was looking really sketchy, with heavy rain predicted. I always try to wait until the last possible moment to decide to change a session date based on the weather because it changes so quickly and so often here in Boston. And luckily, Caroline and Steve were willing to wait with me! It did indeed rain the morning of their session, but the forecast showed it clearing up in time for us. And about an hour before we were set to meet, the rains cleared and the most beautiful fall day emerged from the clouds. 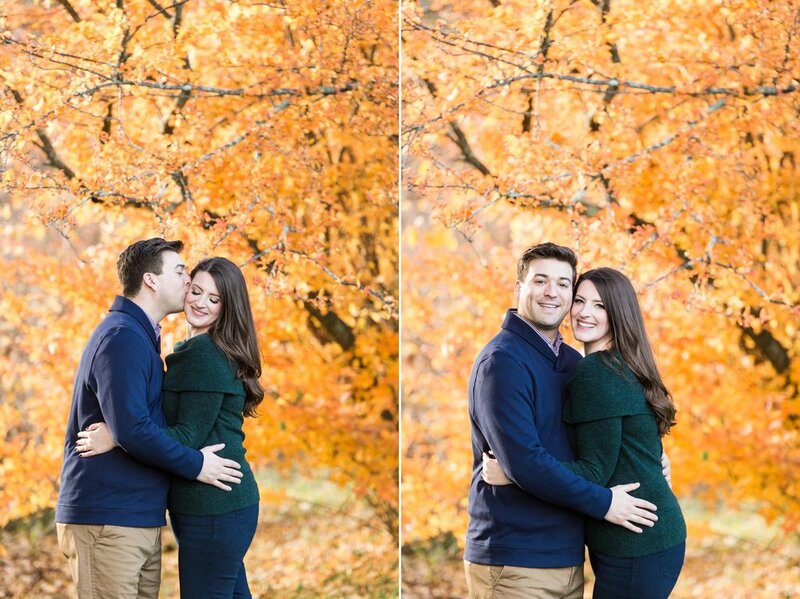 It was sunny and on the warm side and the fall foliage was at its peak - all of the weather pieces fell into place for us and we were rewarded for our patience! 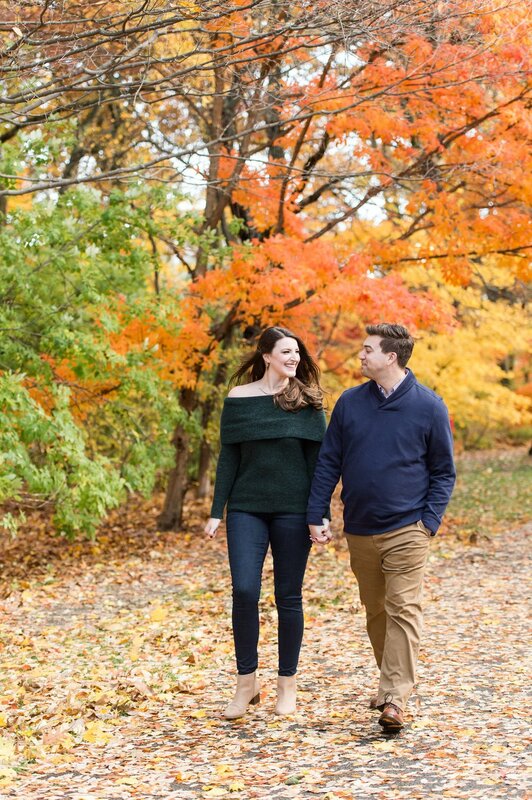 Caroline and Steve embraced the fall and the outside location of the arboretum in their clothing choices as well. 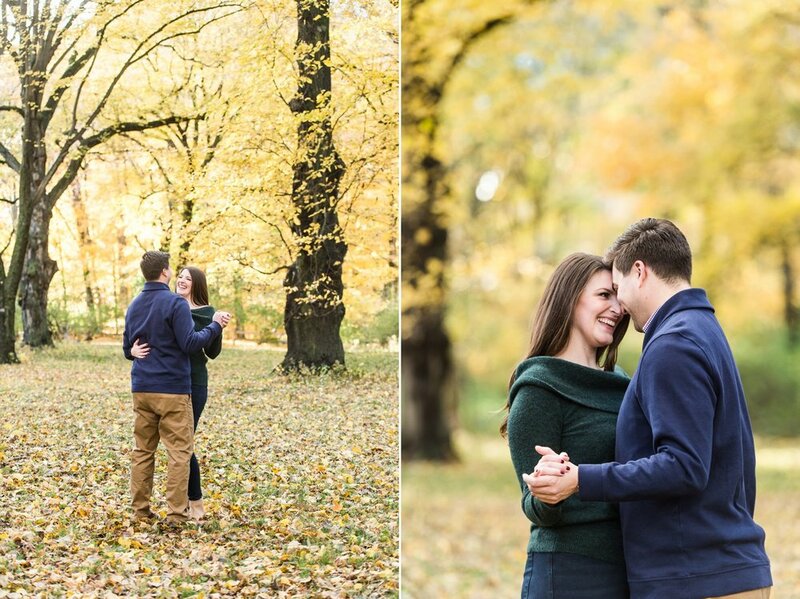 They both went for jewel tones that popped against the bold colors on the trees and stayed cozy with thick sweaters. Caroline’s off-the-shoulder look was elegant but also relaxed enough that it didn’t feel out of place at the park and her booties were perfect to complete her look and to adventure through the arboretum without worrying about the damp grasses from the morning’s rain. 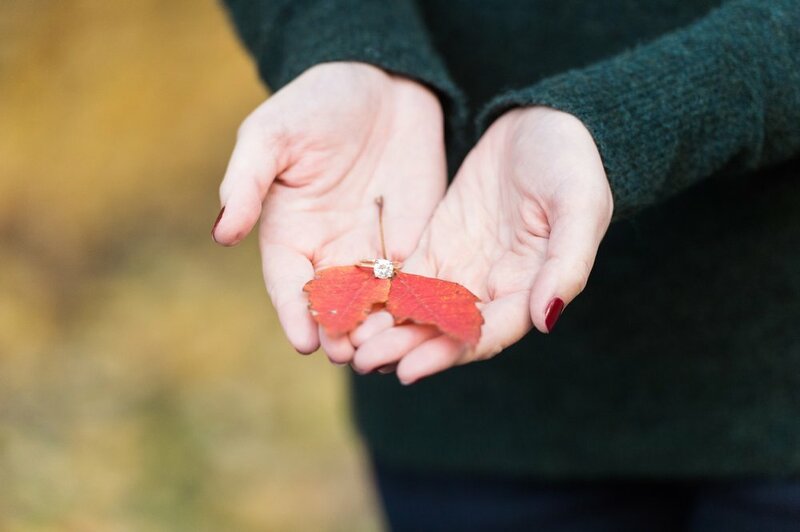 Love this engagement and want to see more?! 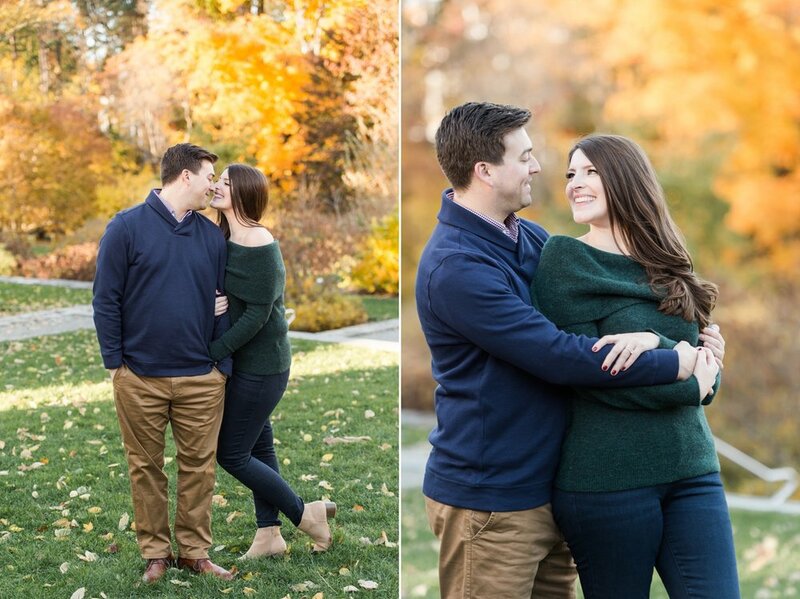 Check out this Spring session on the Rose Kennedy Greenway and lots more in the engagements gallery. 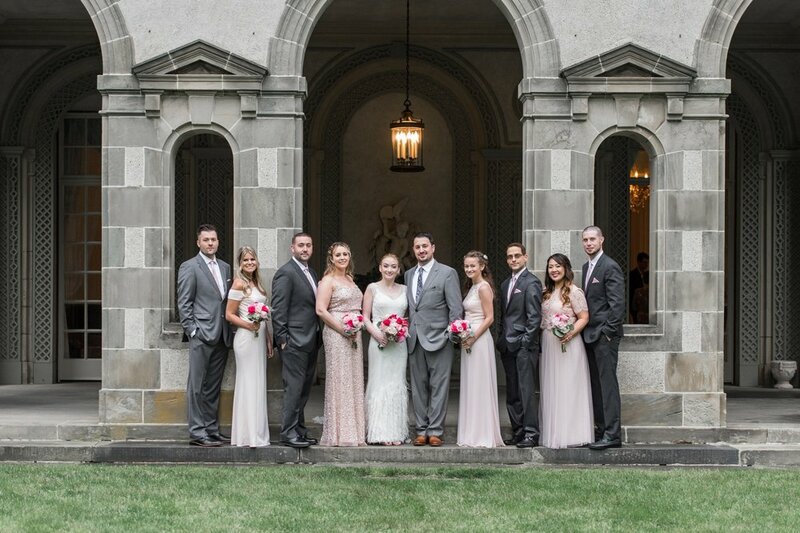 Rebecca and Ross held an elegant Boston wedding at the Lenox Hotel this summer. 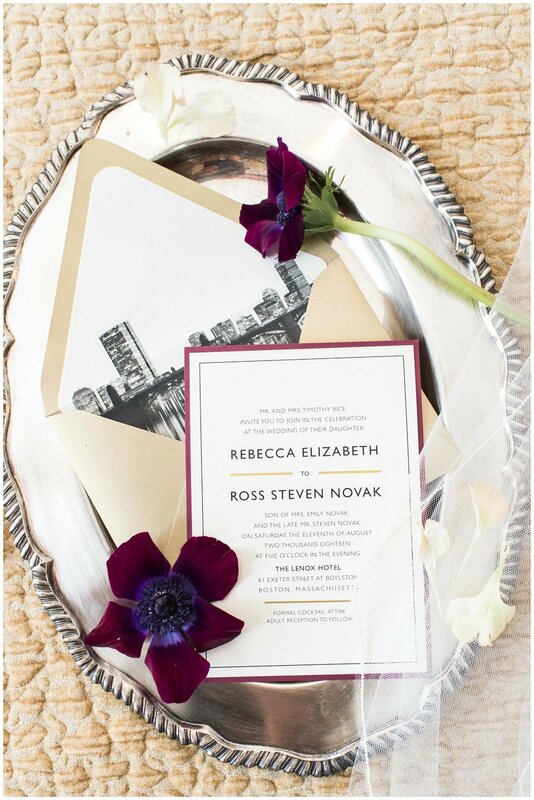 It was a truly elegant affair with creams, gold, and deep oxblood and burgundy reds that provided a rich palette. They added just a hint of sparkle in their linens and day-of paper and amped up the romance with rose petals thrown during the ceremony and candles and fresh cherries creating luxe centerpieces for the reception. 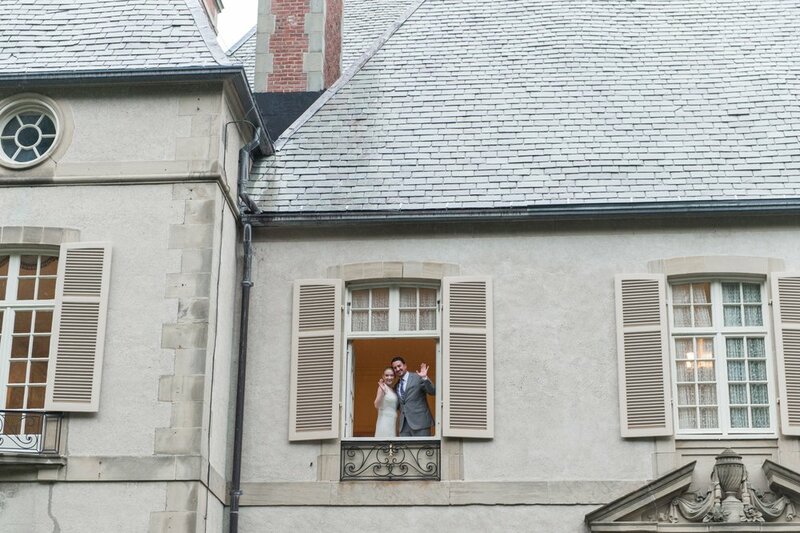 Throughout it all, Rebecca and Ross kept the focus of the day on their love and sharing it with their guests. 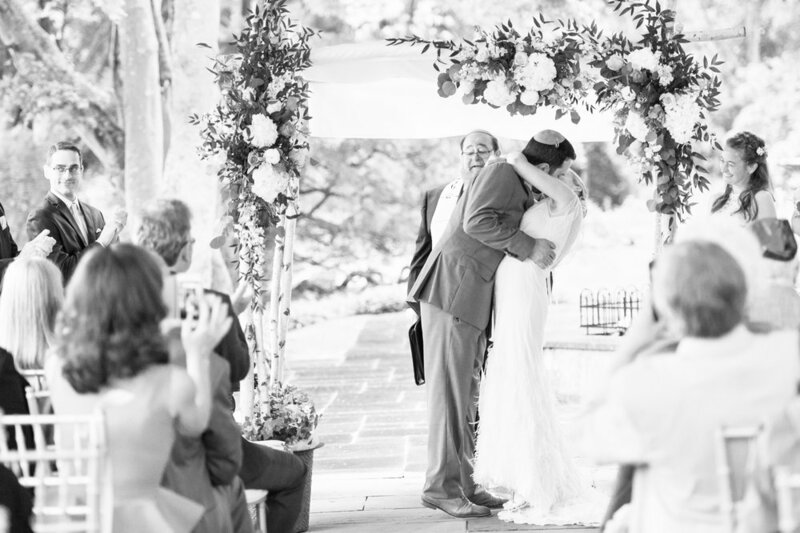 They tied in thoughtful touches to make sure their guests felt loved and cared for all day long. Rebecca explained why: “We're most excited to be all together with so many people from all over and all in the same room. Very rare! And to show off Boston to our family and friends from out of town. Many have never been so they'll be able to spend some time sightseeing while they're here!”. One major way they rolled out the red carpet for their guests was through homemade chocolate cherry cookies that Rebecca made herself! And this is a special treat because Rebecca is an amazing baker. When we first met she told me about her love for baking and about the special dessert involving peaches that she was planning for Easter. And guests were thrilled to see that she had prepared such a personal sweet treat for them and many commented on what a great baker she was - so the excitement for her cookies was real! 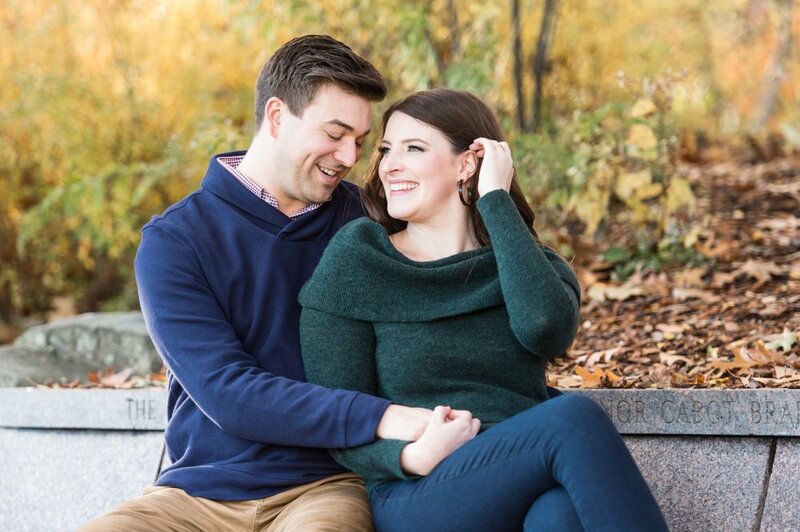 Rebecca and Ross met on Match and ended up on their first date together because they found they had both gone to Endicott College - Rebecca for her undergrad and Ross for his MBA. They ended up going on a few epic first dates where they didn’t want the day to end, even after spending hours together and they quickly fell in love from there. Ross proposed at a restaurant on Federal Hill in Providence at the end of an intimate dinner together - which was perfect because these two are foodies and love exploring cities and trying new restaurants together. 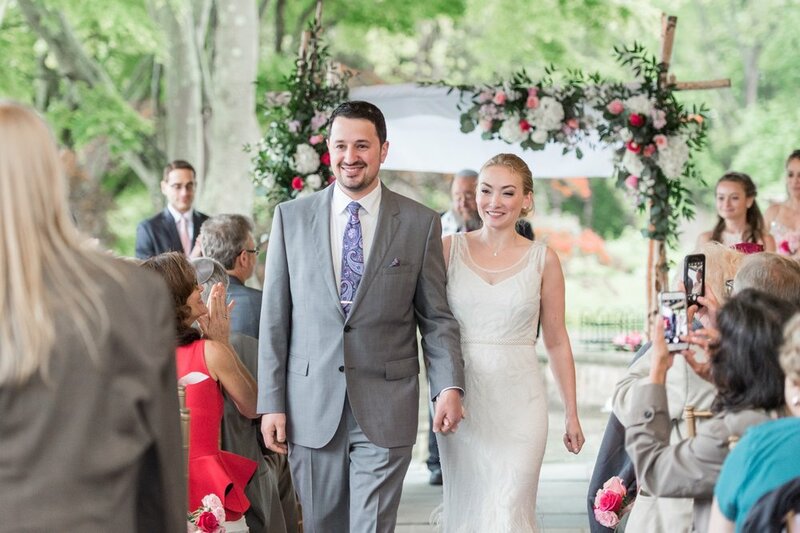 So getting married in the heart of Boston was a natural choice! The ladies had their makeup done at the Lenox by Verde Salon and then had their hair done by my fabulous friend Maricruz of Maricruz Hairstyles. Maricruz even stayed throughout getting ready to make sure Rebecca’s hair piece and veil were perfectly placed. 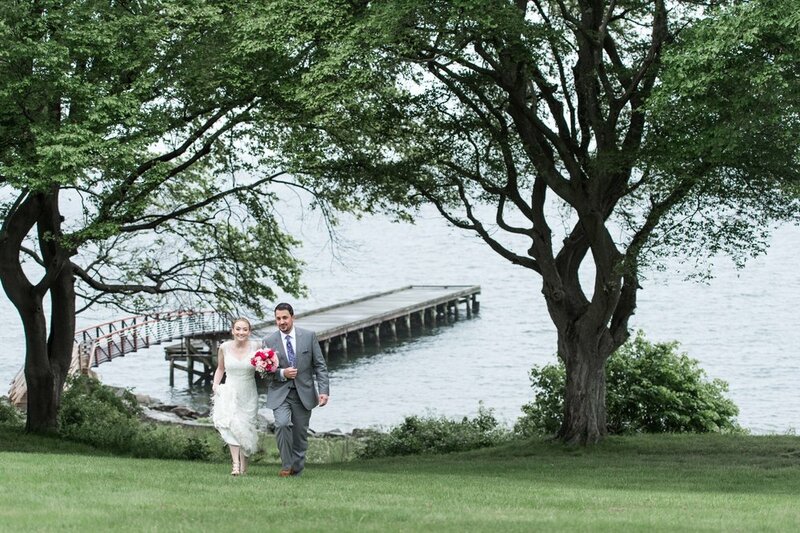 Rebecca’s dress was an Essense of Australia gown that she found at Vows in Watertown. The lace details were absolutely beautiful and she made a stunning bride. She also really wanted to have Halle, her family’s pup, be part of the day so she hired Danielle from For the Love of Paws to bring Halle to the getting ready suite. And we made sure Halle made her way into some photos with Rebecca and the ladies! 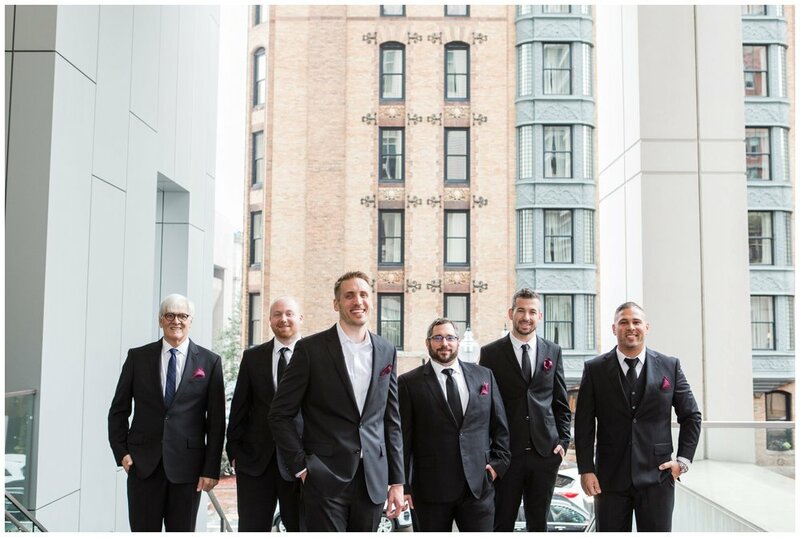 The guys got ready at the Lenox as well, taking extra care with their pocket squares that matched the wedding colors perfectly. 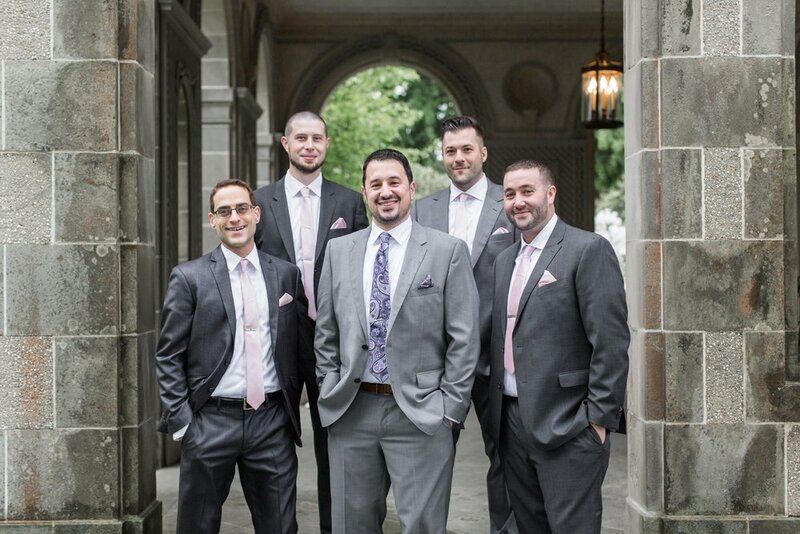 It was a modern take on groomsmen wear! And then the guys relaxed together before taking photos and prepping for the ceremony. Their custom suite was dreamt up by Rebecca and made amazing by Happy Frog Invitations. 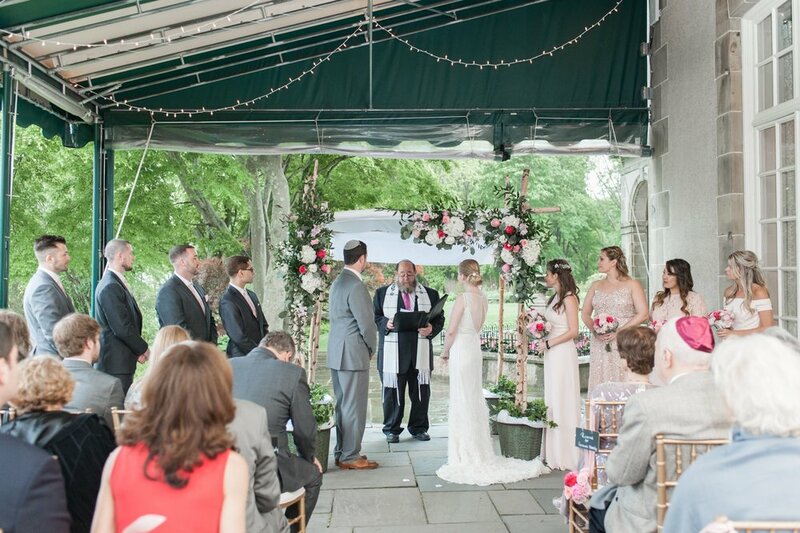 The gorgeous ceremony backdrop was a floral arch created by Table and Tulip. 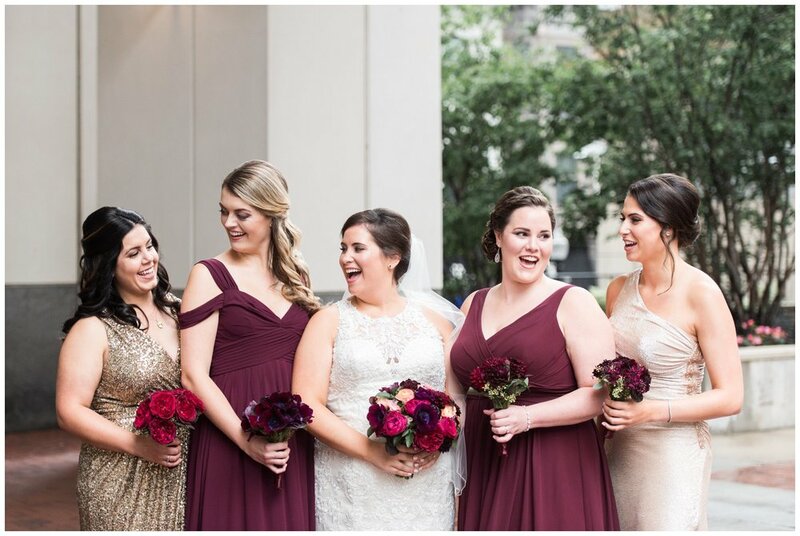 It was absolutely stunning, as were the sweet bouquets that the ladies carried in rich tones of burgundy, oxblood, and wine. Rebecca and her dad were so adorable and excited together before the ceremony and the flower petal toss as they exited was amazing!! After the ceremony we headed out into the Back Bay neighborhood to take formal portraits. We had already done separate bridesmaid and groomsmen portraits earlier in the day while it was raining and found a covered spot that still had high ceilings and lots of soft natural light coming in. The rain was coming down all day, but it stopped just in time for us after the ceremony. It was always a possibility that the skies would open up again, so we didn’t venture too far from the hotel, luckily the area is gorgeous and so we didn’t have to go far to find some lovely nooks and wide avenues that were perfect for photos! And we made sure to get up to the roof for some seriously jaw-dropping views of the city and a shot of the famous Lenox hotel sign. 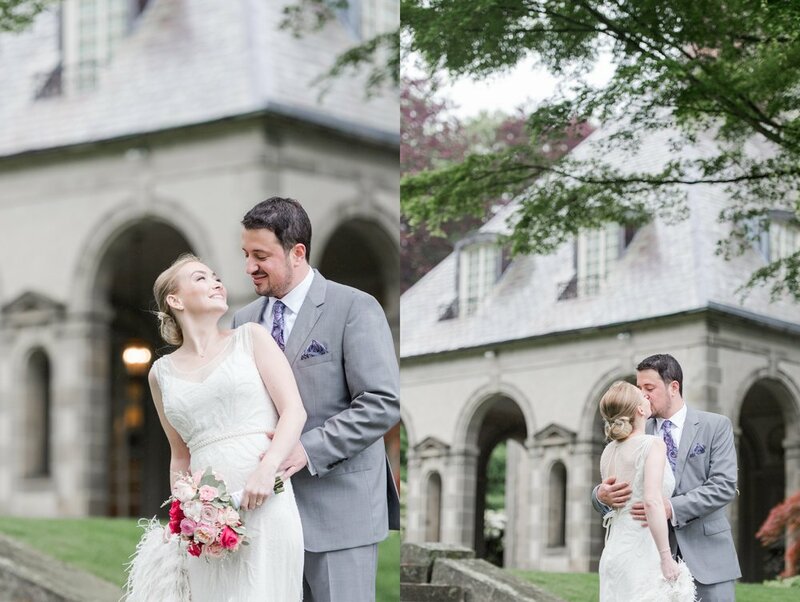 Amethyst and Zev's Glen Manor House wedding was romantic and it was also so much fun! 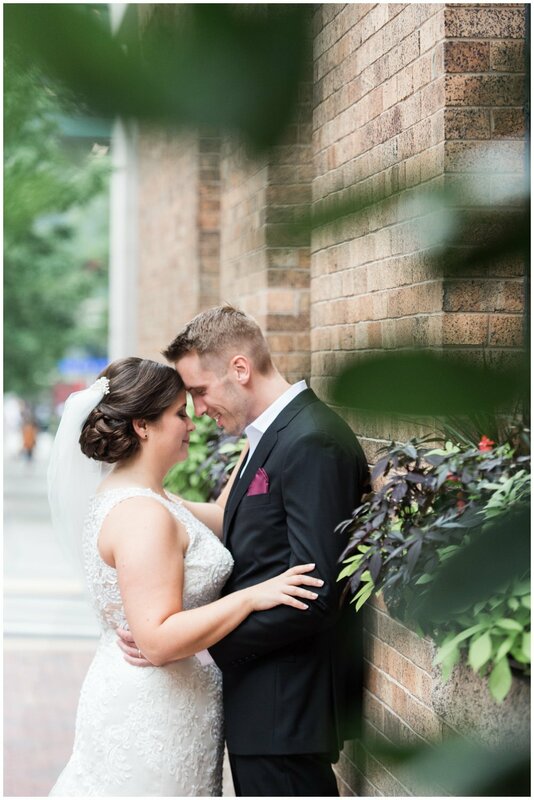 They had an incredible day because they embraced the rainy weather and let their love for each other shine through all day long. Amethyst first met Zev when she was still living in New York. She came to Boston to visit a friend and that friend, her (matron of honor!) ended up running into Zev and introducing the two of them by chance while she was hosting Amethyst for the weekend. And as fate would have it, Amethyst knew the two friends that Zev was with that evening as well - talk about a small world! They ended up talking all night long and totally hitting it off before Amethyst headed back to NYC. After a year of dating long distance, Amethyst moved to Boston and they got engaged! The ladies started with hair and makeup at the East Island Reserve Hotel. 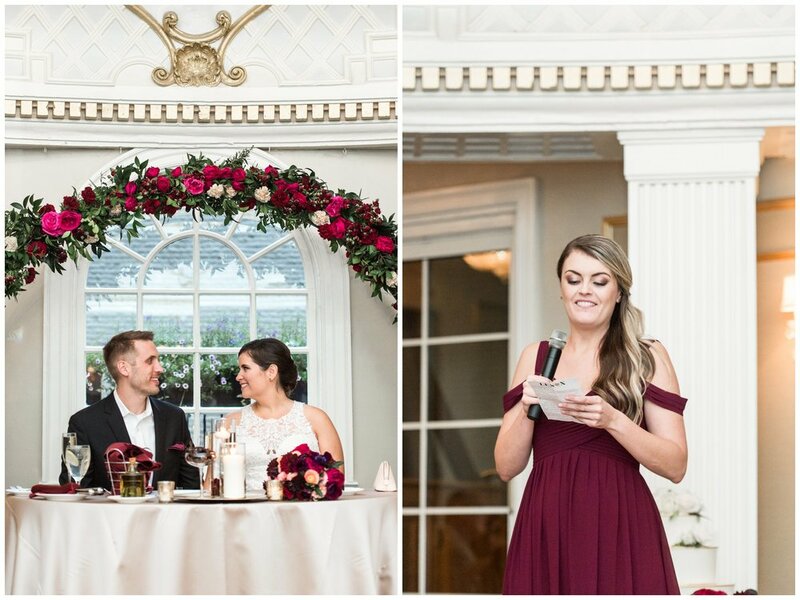 The hotel is adorable, light, bright, and nautically decorated, and it's just minutes from Glen Manor House so it was perfect for hair and makeup. Amethyst had an all-star team for the day that included hairstylist Kiley O'Connor and makeup artist Jessica D'Amore. 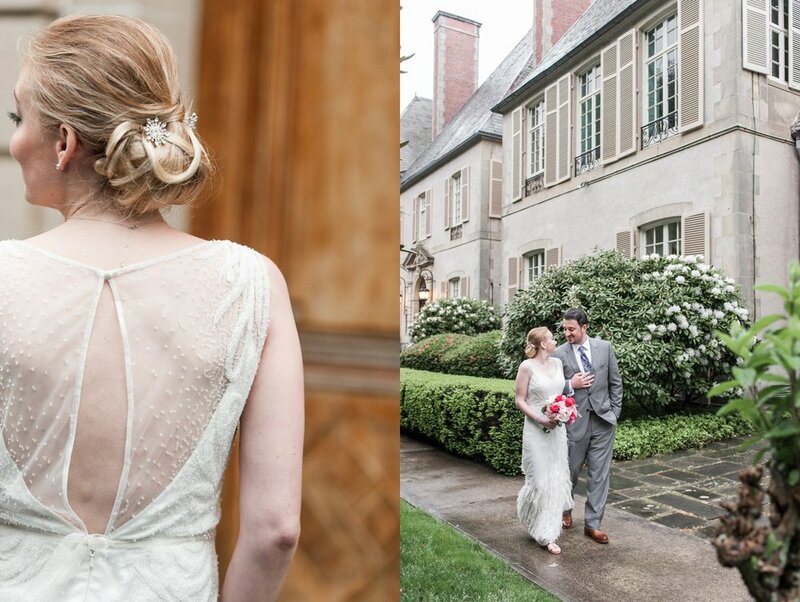 Kiley gave all of the girls subtly glam looks with soft partial updos and a polished chignon for Amethyst. And Jessica completed their looks perfectly with dewey faces and glossy pops of color on the lips. The ladies then ducked into cars as the rain started to really come down so they could put their dresses on at the venue. And what a dress Amethyst wore! 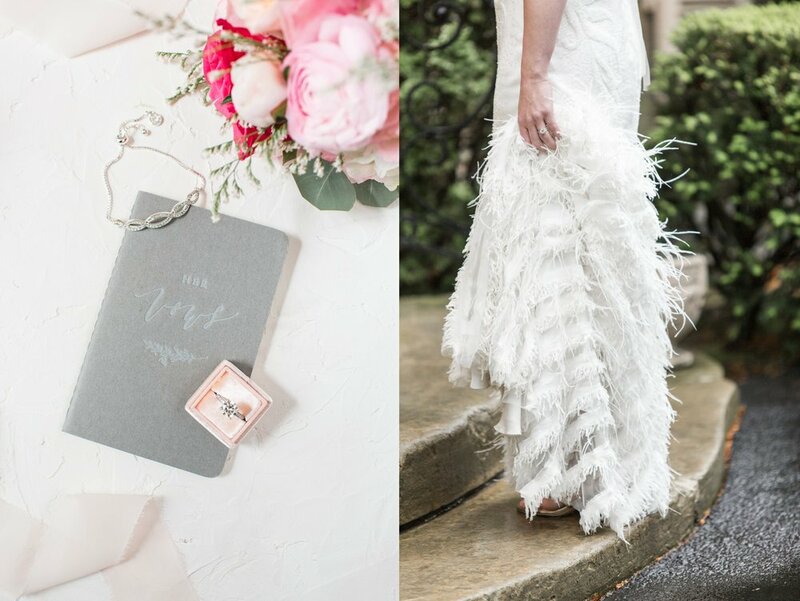 It was a Rosa Clara design that she found at Ceremony in Boston. The beading and the feathers were perfect and they subtly alluded back to the twenties when the mansion was built and she looked stunning. Absolutely stunning! Glen Manor House has both a beautiful bridal suite and a well appointed grooms suite on the second floor of the mansion. 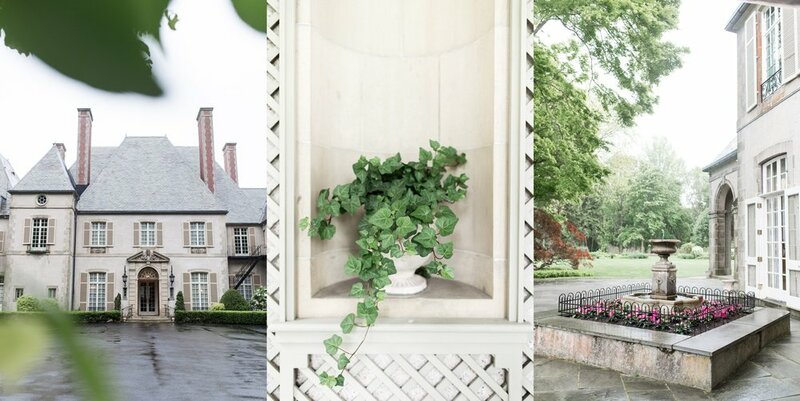 The house was completed in 1923 and the decor and and architecture still reflect the French inspiration the architect pulled from to create the unique house. 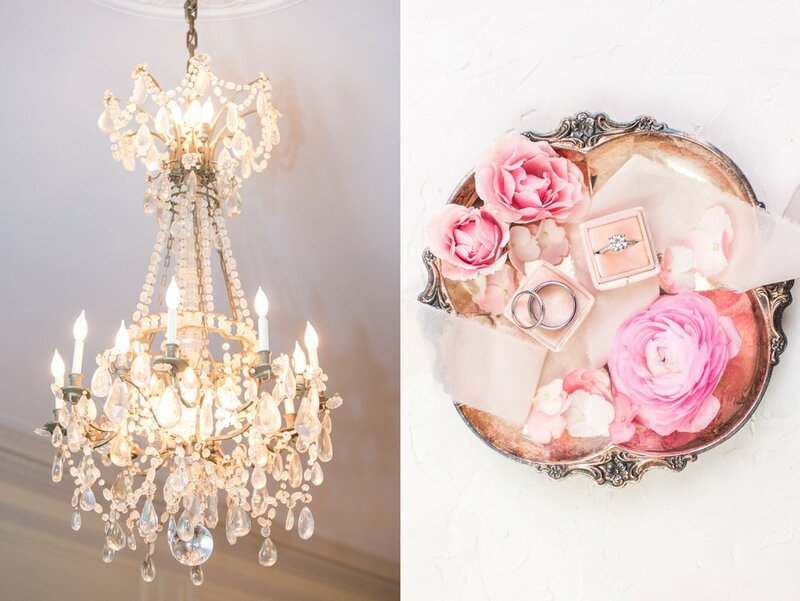 Needless to say, the house was the perfect setting for Amethyst and Zev to each finish getting ready before they saw each other for their first look. There were toasts to the bride and groom and lots of hugs, smiles, and laughter. 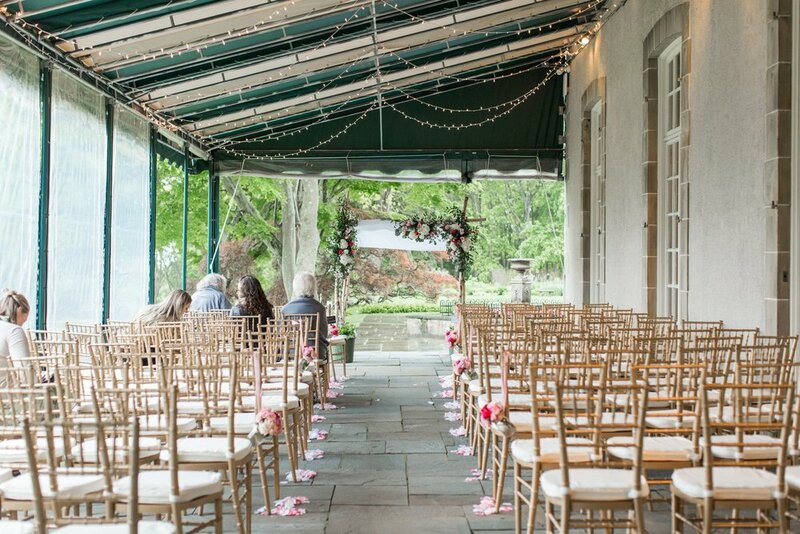 One of the many wonderful things about Glen Manor House is the large covered terrace on the side of the house. 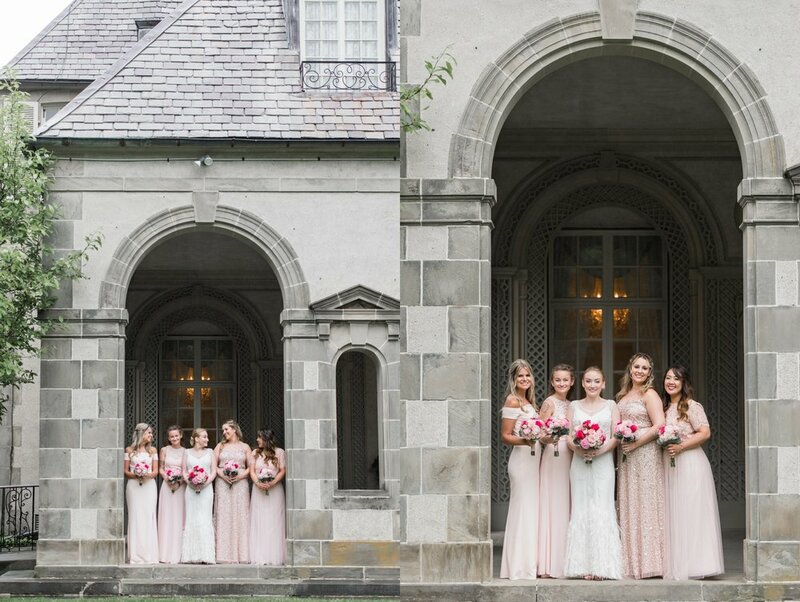 It is beautiful with archways and trellises and it was the perfect spot for first look and bridal party portraits that allowed us to get gorgeous natural light, include the beautiful architecture, and keep everyone dry in the wet weather! Amethyst and Zev were so excited to see each other - their first look was so sweet! They also lucked out with a break in the hard rain and they were determined to get some photos on the water, so we ventured down to the docks. Zev is such a gentleman and was so attentive to Amethyst. He leant her his jacket to warm up on the walk and between photos and they were always naturally connected, smiling, laughing, cracking jokes, and just loving on each other. 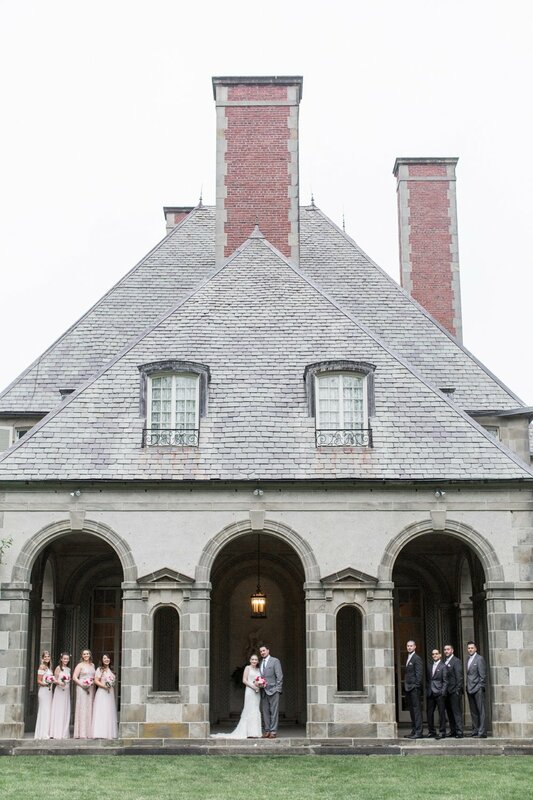 Then we headed back to the terrace and brought their bridal party and family down for portraits before the ceremony. The Ceremony was beauitful and funny! They said their own vows and they were so sweet and their deep love for each other shone through for sure. But these two are also hilarious and love to laugh together and they each had the whole place rolling during their vows - especially Amethyst who said at one point, and I quote "I love you more than the Kardashians love botox!" lol! I was cracking up behind the camera! After the ceremony Amethyst and Zev were able to sneak a few minutes alone together and then they joined their guests for cocktail hour and a lovely meal by Russell Morin Catering. 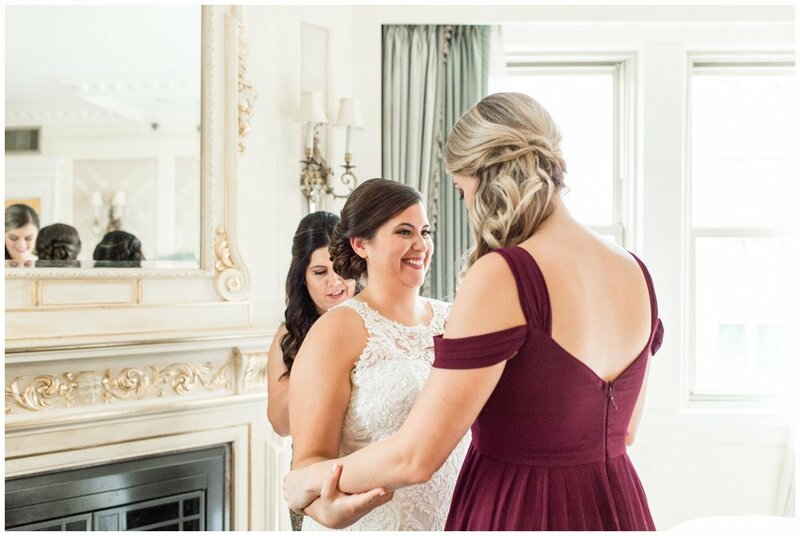 Amethyst worked closely with her amazingly talented wedding planner Renee of Urban Soiree Boston who made sure every part of the day went smoothly and looked impeccable. 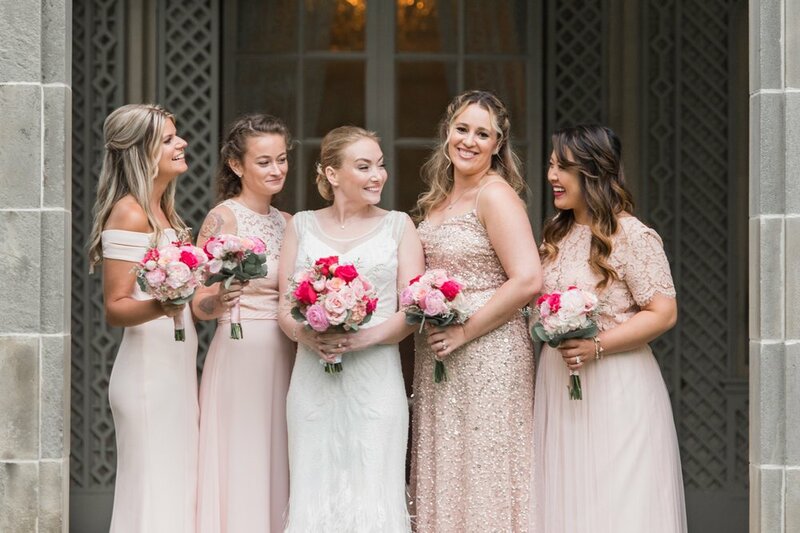 Amethysts vision was for blush and cream with gold and greenery as accents and Renee did a great job of bringing that inspiration to life in a beautiful vision where no detail was left undone. 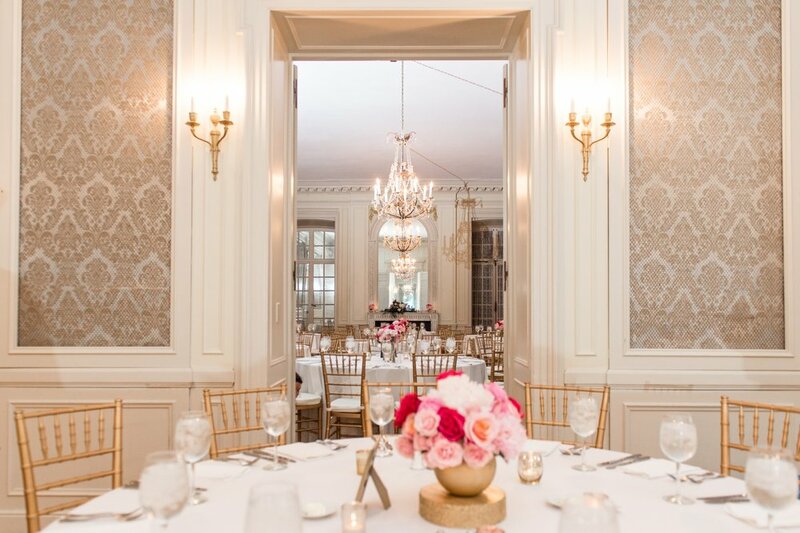 The centerpieces and all the florals for the day were stunning and brought a cheery light elegance to the day - they were done by Pranzi Catering & Events. After dinner the party got started with a surprise choreographed first dance and some great dancing tunes from Beat Train Productions. These two spoiled their guests all throughout the day. There were blankets for guests if they got cold during the ceremony. Zev made sure to have cigars available later in the evening on the terrace and Amethyst baked not one, but two cakes, as well as cookies! You see, she surprised Zev with a groom's cake in addition to having made their wedding cake. She's an incredible baker and wanted to do the baking herself - a huge task to undertake as the bride, but the cakes were absolutely stunning and delicious, as were the cookies! And in a break from the rain we got outside one more time for some portraits in front of the mansion. Thanks to my amazing second photographer that day Lauren Termini!